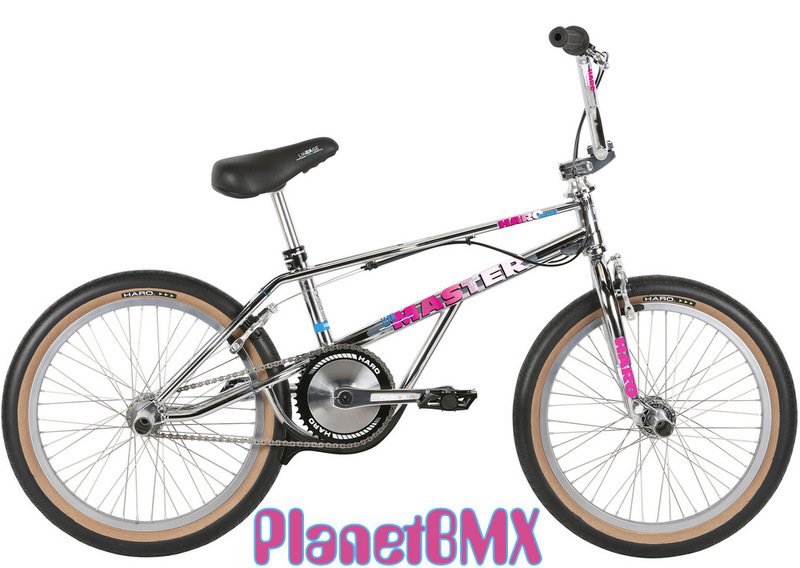 2019 HARO 20" LINEAGE MASTER FREESTYLER BIKE in CHROME. With 20.5" top tube length. This bike is extremely limited, and is already sold out at Haro! Once we are sold out, that's it! No more will be made. Paying tribute to the 1989 Haro Master bike, Haro has just made a modern-version of this classic bashguard freestyle machine! Using aftermarket parts throughout, such as Haro Fusion cranks, Lineage Super Pro 48-spoke wheels, Lineage stem, Kneesaver bars, a sealed-bearing gyro, along with a dual-cable setup, this bike is amazing right out of the box! Comes with FREE USA shipping to areas in the lower 48 States, a "WALL To WALL: The Birth Of the Freestyle Movement" hardcover book, and a PlanetBMX shop shirt! • CNC alloy gyro with Teflon bearing PlanetBMX rules!